Get ready to embark on the craziest vacation ever! 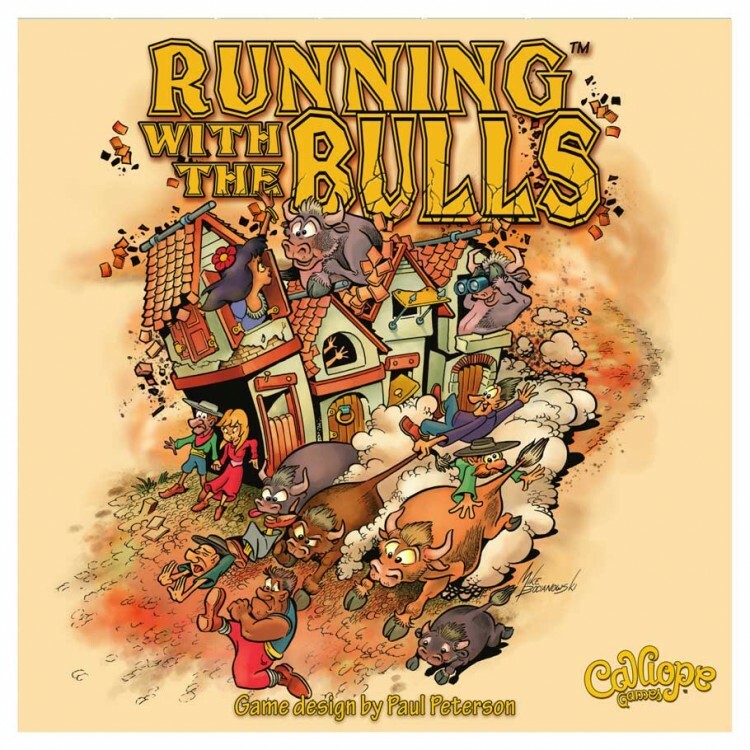 A herd of mischievous bulls has taken over the quaint town of El Toro, and players must outrun and outwit them in order to get to the fabulous destinations on the coast! Skillfully play cards to dodge the rascally bulls as they chase you through the streets! Choose when to act, rolling dice to determine the paths of both the Runners of El Toro and the Bulls themselves! With a bit of planning and lot of luck, you'll reach your spectacular getaway while Running with the Bulls! Running with the Bulls is a game for 2-6 players played over three rounds called "days." During each day, players will use action cards to guide their Runners to destinations at the bottom of the board-all while trying to avoid irate bulls! The player with the most points at the end of the game wins!